Whilst researching VFA-VFL Grand Finals it became apparent that there are a number of discrepancies in the crowd figures provided by various sources. 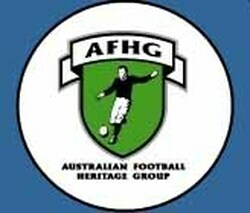 Therefore, to provide some consistency, the primary source used by HardBallGet.net is Marc Fiddian's book: The VFA - A History of the Victorian Football Association 1877-1995. The only exceptions are the seasons listed below; in these cases Fiddian's book had an estimated crowd whereas one of the other sources provided an exact total: 1928, 1929, 1934, 1935, 1951, 1964 (D2), 1981 (D2), 1982 (D2), 1984 (D2). Fiddian's book ended at 1995 so for 1996-1999 crowds have been sourced from newspaper match reports and since 2000 they have been sourced from online match reports found at www.austadiums.com and various newspaper websites. Listed below is a table that provides a comparison of all the primary sources used to research VFA-VFL Grand Finals. HBG.NET = the crowd figures used in all articles/tables on this website. THE VFA = Marc Fiddian's VFA history book. - Green shading indicates the source used on this website. - Numbers highlighted in bold indicate crowds that match the source used on this website. 1907 - The North Melbourne Courier and West Melbourne Chronicle [4-10-1907, p.3] has a crowd of 25,000. 1908 - The Age [2-9-1908] and The Leader [5-9-1908] have a crowd of 41,000 but also state that paid admission was 33,760. 1915 - The Herald (Melbourne) has a crowd of 8,000. 1920 - The Argus, The Australasian, and The VFA all have a crowd of 18,000 but The Argus [11-10-1920] also states that paid admission was 15,294. 1924 - The Herald (Melbourne) has a crowd of 15,000. 1939 - The Age, The Argus and The Sun all have a crowd of 47,098. The VFA and the 1971 VFA Recorder [Grand Final Edition, p.23] have 48,238. 1976 - a typo in Fiddian's book lists the crowd as 32,317, The Age and The Sun confirm the crowd was 32,137. 1998 - media reports have the crowd at 8,672 but the Victorian Footballer matchday programme has 5,504. Since 2000 all crowds have been sourced from online match reports found at www.austadiums.com and various newspaper websites. In the internet age discrepancies between these sources have not occurred (yet!). These crowds can be found here. 1977 (D2) - The Age and The Sun have a crowd of 7,500. The VFA and the VFA Recorder match report have 11,897. 1982 (D2) - The VFA and The Age have a crowd of 6,500. The Sun and the VFA Recorder match report have 8,150. 1985-88 (D2) - no crowd figure because the Second Division Grand Final was played as a curtain-raiser for the First Division Grand Final.